Tate and Hyundai Motor have announced a major new long-term partnership which secures healthy funding for the gallery and also opens new links potentially beneficial to the world of Korean contemporary art, writes SAJID RIZVI. 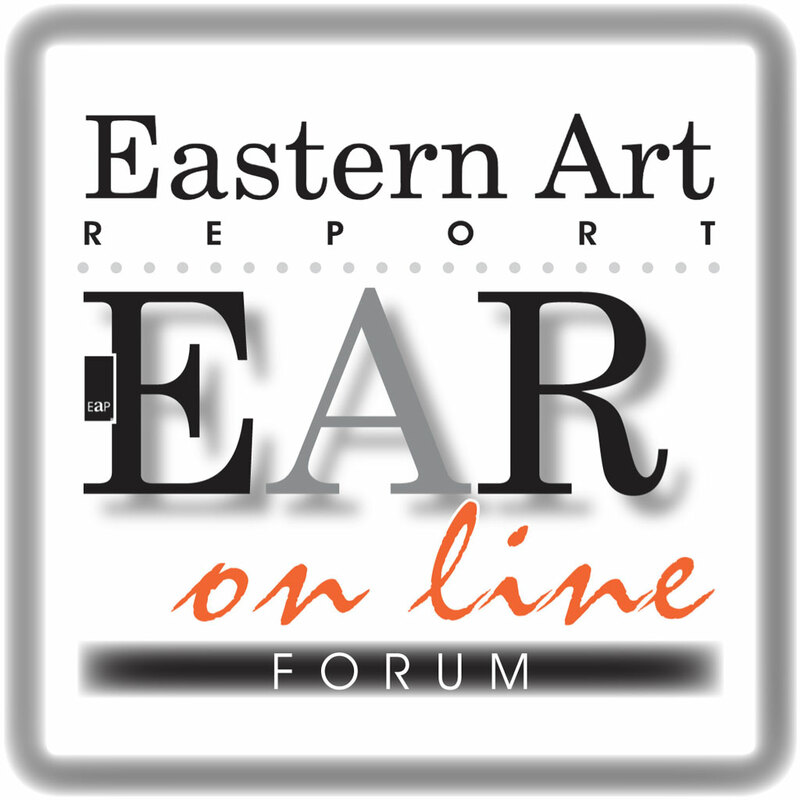 Confirmed to 2025, the 11-year partnership is the longest initial commitment from a corporate sponsor in Tate’s history, a reflection of Korea’s economic strength in comparison with the current travails of other corporate communities that sustained art sponsorship in the West and beyond. Sometimes it seems little short of a miracle that major art institutions in need of large cash infusions, such as Tate, manage to draw any business funding in their immediate environs. Hyundai’s support will allow Tate Modern to realise The Hyundai Commission, a new series of site-specific installations by contemporary artists in the Turbine Hall, a space now so integral to art history, beginning in autumn 2015. Since Tate Modern opened in 2000, Tate reminds us — and rightly so — that the Turbine Hall has hosted some of the world’s most memorable and acclaimed works of contemporary art, reaching an audience of millions each year. “The way artists have interpreted this vast industrial space has revolutionised public perceptions of contemporary art in the twenty-first century,” says Tate. That’s true, too, even as there are large industrial spaces being experimented with elsewhere, but on a lesser scale and less flamboyant manner. The annual Hyundai Commission will give artists an opportunity to create new work for this unique context. The partnership is founded upon Tate and Hyundai’s shared commitment to world-wide innovation. Tate Modern’s programme has become increasingly diverse and international, offering a major platform for art from Latin America, Asia, the Middle East and Africa including film and live art. Last year marked the first time Tate began interacting seriously with Africa, nearly two decades after africa95, the seminal event of the 1990s. Tate’s activities outside the UK also continue to grow, including travelling exhibitions, international loans from its collection, research centres and conferences investigating art from around the world. To mark the start of this new partnership, Hyundai has joined forces with Tate’s Asia Pacific Acquisitions Committee to support a major acquisition for Tate’s collection, dramatically improving the museum’s holdings of art from Asia. The acquisition consists of nine key works by the renowned South Korean artist Nam June Paik (1932-2006). Often considered the founder of video art, Paik explored humanity’s ever-changing relationship with technology, from radio and television to robotics and computing. A major retrospective was presented at Tate Liverpool in 2010 and this acquisition is the first time the artist’s work has entered Tate’s collection. These nine works span 40 years of his pioneering career and will go on display at Tate Modern later this year. 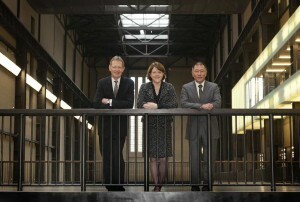 The announcement coincides with the completion of a newly built bridge across the top of the Turbine Hall. Designed by Herzog & de Meuron, this bridge joins the existing galleries on level 4 of Tate Modern to the new building being developed to the south. 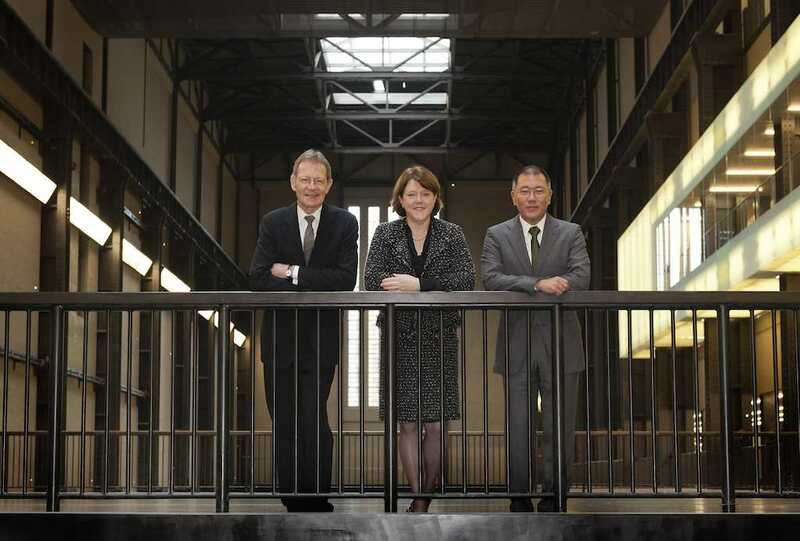 Opening to the public in 2016, this project will transform Tate Modern with the Turbine Hall at its heart, offering in due course dramatic new views on The Hyundai Commission. Tate Director Nicholas Serota said the gallery hoped, in its collaboration with Hyundai, to explore “the most innovative and creative ideas from around the world.” Hyundai’s commitment to Tate will give Tate an unprecedented opportunity to plan for the future, and will secure a decade of exciting new Turbine Hall commissions for all Tate Modern’s visitors, said Serota.